Thought that it's old now ( from 2000), it's an amazing and fantastic book written by Meg Cabot!!! 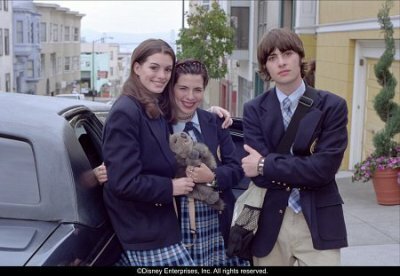 The Princess Diaries from 1 to 10 are my favourite books, they're sooooooo..........well I don't know how to explain that....soooooo MAGICAL!!!! Go and see it on the internet to get to know about my book!!! Or go and buy it if ur interested in!! !Personally, my favourite characters r Mia and Michael!!! Robbert Coppola Schwartzman is an talented actor but he is also a talented singer ( his band's Rooney). And Anne Hathaway too is a beautiful and talented actress!! !